My Obsessions...right now! The Daily Nest: My Obsessions...right now! ﻿﻿﻿﻿Okay so I'm probably a lot like most of you. When you find something that you like or works for you, you obsess about it right? Oh you don't, well I do! I find myself looking it up continuously or trying to buy something that sort of resembles the original product! I know, I need a life! Anyway, these are the things that I have right now that I can't get enough of, or that I would love to have or give as a gift! 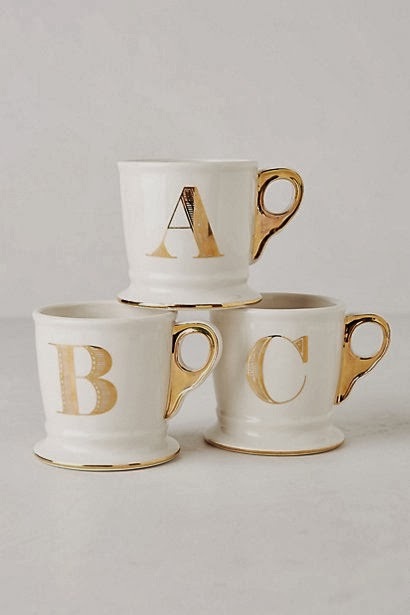 These mugs are from Anthropologie and I love them! I love anything with monograms. 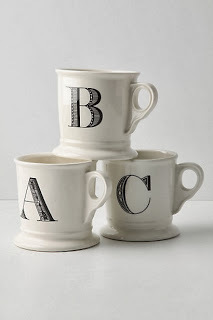 I think these would make a great gift! These are also fromAnthropologie . The ones above seem a little more festive. Where these would be great for everyday! Ok, I can not say enough about this stuff! 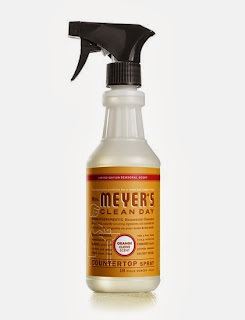 mrs.meyers is my absolute favorite cleaning product! This is the Orange Clove scent, and it smells heavenly! So Christmas-ey! 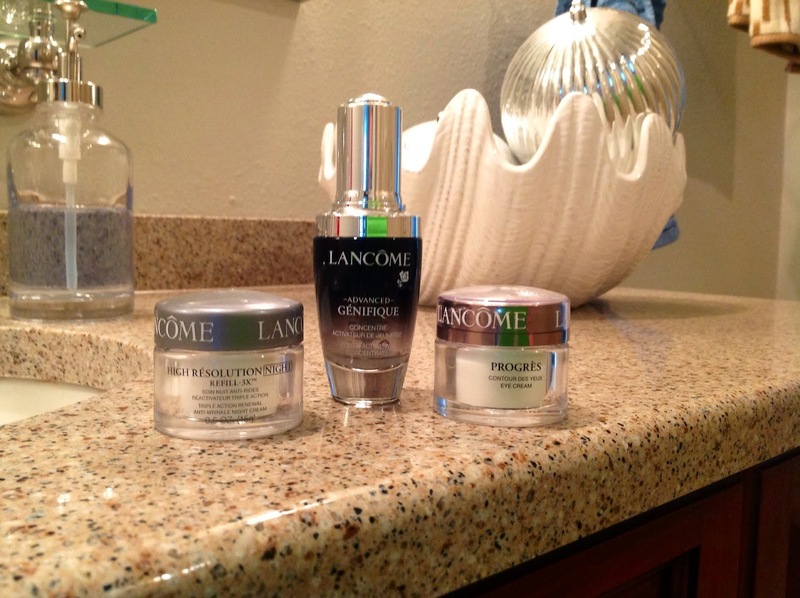 You can't go wrong with any of her products. I have them all, from the counter spray to laundry detergent and dryer sheets! Love!! This is definitely a splurge! It's the Pheonix necklace from Stelladot. Stella and Dot has some amazing jewelry and accessories! I got this (from my hubby) a few weeks ago, and it goes with everything! And really sparks up a plain black shirt! I got this at thefreshmarket.com at our local store. 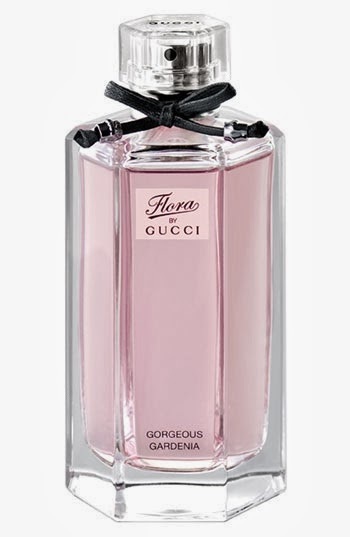 I keep it on a pretty tray next to the bed, and every morning when I make the bed (ok I lied not every morning I make the bed) When I make the bed I spritz this on our sheets. When you pull your bed down at night you can still smell it. It is so light and fresh! 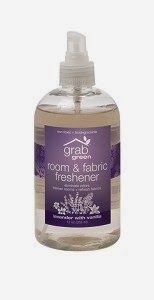 Made by grabgreenhome.com And if your into green natural products this is for you! Love this fragrance from Gucci. Everytime I wear it I get a compliment. Maybe someone you know would love to get this for Christmas! 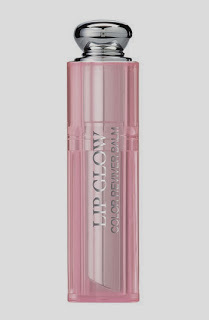 And last but not least Dior Addict Lip Glow in Pink- which is a sheer natural pink. 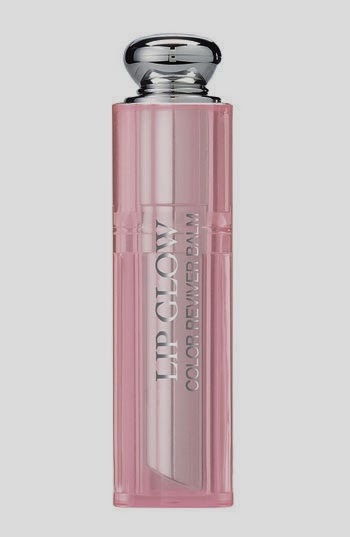 It's claim is that it enhances your natural lip color while moisturizing and protecting the skin. I picked mine up at Sephora.com it's a little pricey for a lipstick $31 but it is Christmas! Right? So that's what I'm obsessing about right now! I hope you try some of these and tell me what you think of them! I would love to hear from you! Love reading this :) I definitely can't get enough of the Mrs. Meyers cleaning spray! I'm just about ready for another bottle! Glad you like it! It definitely makes cleaning nicer!